The 2016 US tour ends November 16, so get tickets now! 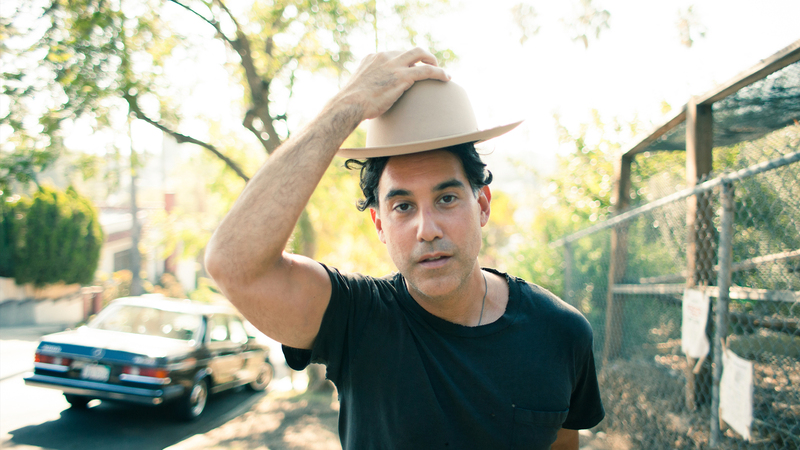 While "Songbird" is normally a phrase used to describe females musicians, we think the term fits perfectly with Joshua Radin's charming vocals and genuine lyrics that make up his own brand of acoustic folk. Your first introduction to the "Winter" singer-songwriter may have come in 2004 when the track (later one of 12 off of 2006's We Were Here) was featured on on Scrubs. From then on, whether it was catching him at a club at a far corner of the world, or watching him perform Ellen, Radin took the world by storm, getting his utterly honest music in front of millions. This week, Joshua Radin fans will see the Cleveland-native's fall tour coming to a close, but luckily, in 2017 they have much to look forward to—specifically new record, The Fall, set to drop on January 27. Before his final date, we caught up with Radin about his setlist, fans, and favorite venues. Check out the interview below, then make sure to stream "High and Low" off of Joshua Radin's forthcoming album. Will you be playing any new songs on these dates? If so, which ones are you the most excited to share with your fans? I'll play a couple new songs but for the most part I like playing the songs of mine that people most want to hear. Great coffee. A great restaurant. And a great bookstore. What’s your favorite thing a fan has ever brought to a show? A guitar he made me. You’ve played venues all over the nation, what has been the most memorable venue you’ve played and why? Bowery Ballroom. That was the spot at which I'd see shows before I was a musician. My first time headlining it, that was special. I'll never forget that feeling. Where do you go to see emerging artists in California? What’s one snack you can’t live without while you’re on the road? If you could collaborate live onstage with any artist who would it be? Headed to Alexandria, Virginia tonight for two nights at the Birchmere. Come say hey. It’s been 10 years since the release of your debut album. What song from that album do you still love to play live and who would you want to see cover it? Hmm good question. I still play "Winter" every night. It's the first song I ever wrote so it has an extra special meaning for me. I'd lose it if Paul Simon covered it in concert. What’s the first thing you do when you get home from tour? I sleep for two days. And then I get tacos.